You have the two of the three critical elements of a successful product launch. But what about the third, most important element? Releasing new products is always exciting, but no matter how exciting your new product is for you, it’s not going to go anywhere if you don’t have someone to release it to. 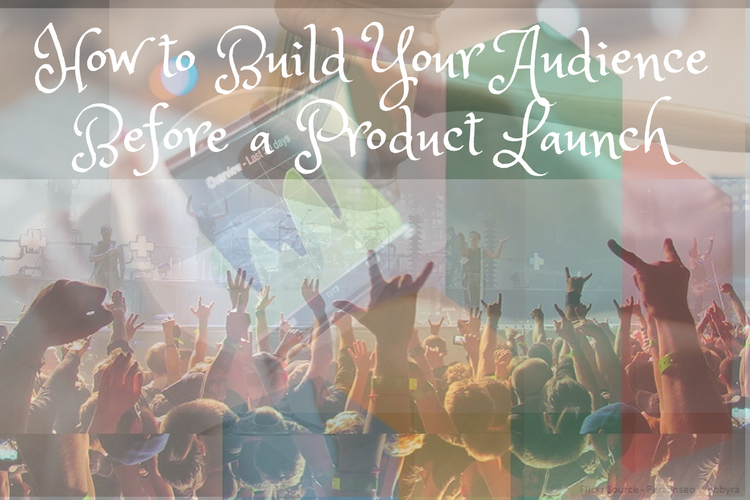 Building an audience before your big launch helps to build enthusiasm. It drives the energy of the release. And ultimate, that energy translates into sales and profit. It’s easy to focus on your new product – after all, it’s the whole reason for the release! 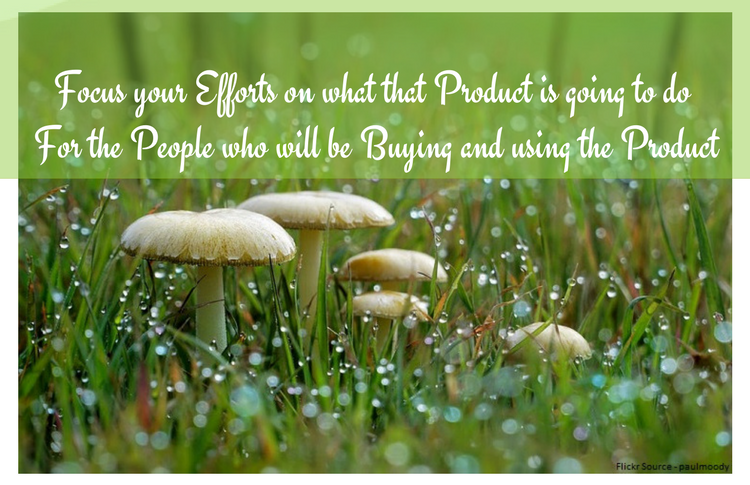 But instead of making your big product release about the product, focus your efforts instead on what that product is going to do for the people who will be buying and using the product. Again, skip the promotions about how great it is that you’re releasing this new thing. Instead, tell us what is so great about it. Advertise the change that you’re bringing to the industry or to the little niche of the industry you occupy. A new product deserves a new website, or at least a new landing page on your current website. If you want your product to be taken serious, treat it seriously with a big, splashy new website to accompany it. Your goal before the launch is to get people talking about the product, and that means you need to be talking about the product. Content marketing is much more in-depth and can contain a great deal of information that more traditional advertisements like banners simply can’t handle. Does your new product do something exciting and new? Show us! Focus more on the details and what’s new on the product than the product itself. You can do this in many ways through write-ups, reviews, pictures and videos used on a variety of sources. Don’t overlook the classic press release. This is the professional way to introduce a new item, and the press release might be picked up by news sites if it is written well and released in the ways big news sources prefer. 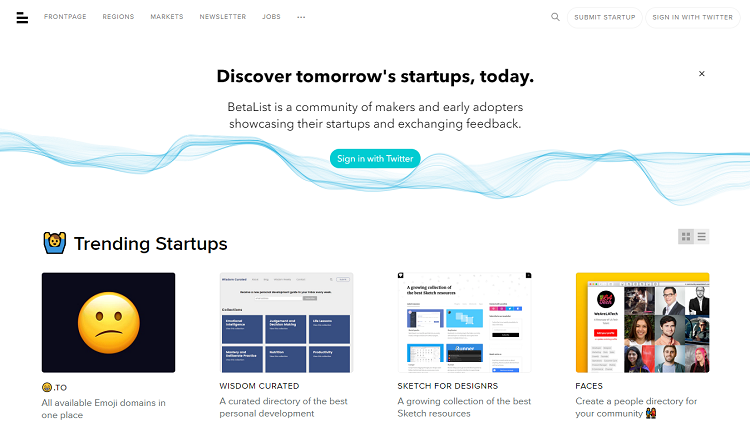 As you are doing the final testing and fine-tuning on your product, release it on BetaList. Build a collection of followers who will help you test, tweak and eventually market your product through these last few phases of the build. Videos are huge. Everyone likes to see things in real life and you can use this desire to see products in action to showcase your new product in action. Build some interest by showing the product before it is available. You can make a series of videos showcasing different uses and features of the product. If you’re going to advertise the new product, don’t irritate your customers before you even get started with sales. Think about ways to advertise your product in ways that won’t be offensive or in the way of other things. Nobody likes spam, and even if it is effective in the short term, your spammy ads aren’t going to build trust in your brand overall. A picture is worth a thousand word, so imagine how many words you can get credit for by simply promoting some interesting images about your new product on Pinterest. Your promoted pins can include pictures of the product, infographics and tips or hacks for using the new product that others will hopefully “pin” to their own boards. Want to build a big buzz? Find someone to blog about our product, preferably several someones. Offering a sample, demo or beta version of your product to bloggers to review honestly prior to the big release can build quite a bit of buzz. Just be sure you’re ready for honest feedback if you’re sending out early versions of the product. 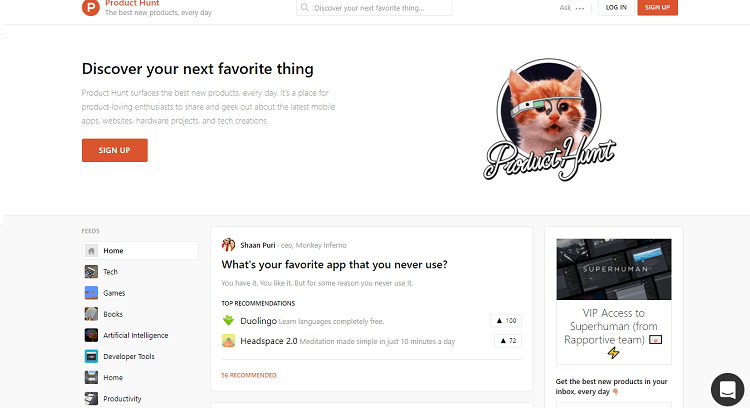 Release your new product though ProductHunt and others can discover your new product as part of the website. ProductHunt curates a collection of new products that have been released every month for those who are seeking the (literal) latest and greatest things out there. Release your product with a bigger buzz by creating an event as buzzworthy as your new product. This might be a release or launch party. It could be a special promotion or a big razzle dazzle at a trade show. Time your big event to have a built-in audience and you’ll generate that much more enthusiasm. Even if you don’t need funds for your new product, consider asking for some anyhow. You can always use the funds for advertising, but your request for funds is going to captivate the interest of those who enjoy being involved in new things and who want a part of the action. Those individuals become good customers later on. 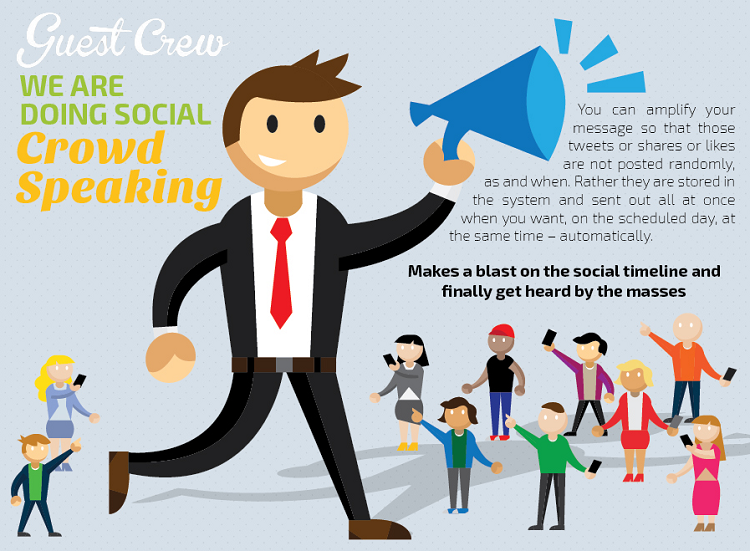 A new way to work social media, CrowdSpeaking brings a large number of social media users together to make the same release with the same message at the same time throughout a variety of social media platforms. With hundreds of the same message being released simultaneously, it’s hard to imagine the message isn’t going to be heard. Millions of people are using Facebook, and Facebook ads can help you reach a very specific audience. Use those Facebook ads to find the right niche in the market and then show them what it is they can’t live without (i.e. your new product). You’ll pay a bit for the ads, but they can be highly effective. Open that new website or landing page up for sales before you’re actually ready to release the product. The preorders will helpfully generate interest and boost the desire of would-be customers to be one of the first to have the new item. Exclusive often generates more interest than ready availability. Rather than releasing your big advertisement with the full product feature, release a series of smaller ads that just focus on one thing at a time. The feature ads will hopefully generate some enthusiasm over time and build anticipation for the big reveal of the product in its entirety. There are also millions of Twitter users out there talking about anything and everything. Get them talking about your new product by doing a bit of advertising through Twitter as well as other social media platforms like Facebook. Native advertising is becoming more common and there are more ways to work in some advertisements that blend with traditional content. Ideally customers will read your native advertising as content along with the rest of their feed or news and become more interested. 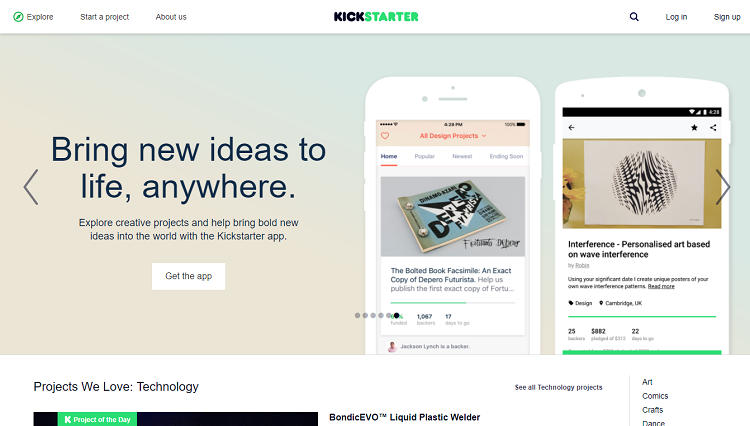 Another way to get interested parties involved, Kickstarter is a platform to allow others to fund your creative ventures and get regular updates on the development of the new product. By showcasing your creativity (and asking for funds), you’ll generate some buzz and some potential ownership as well. Another old stand-by, email marketing is a chance to directly communicate with those who may be interested in what you’re releasing. If you have the email addresses of customers, they have opted into your newsletters. Feature your new product in your newsletter or email and you can include images, information and tips to your heart’s content. We love infographics. All of that information. All of those easy to understand images. Use an infographic to help you share the key features and information about your new release. 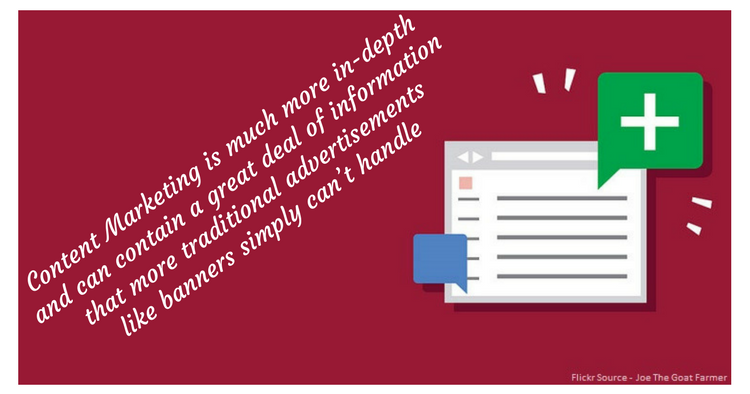 This is especially helpful if the infographic also shares information your audience will enjoy without just a sales pitch. A simple technique you should always be using is the asking method. Simply ask for shares on social media. Request a share or two. Ask for a comment. Put the social media share buttons in a prominent place so that users can find them and hopefully put them to good use. If you did a traditional press release you’re all set for HARO, but you can use the service even if you didn’t take the time or expense to create a release. 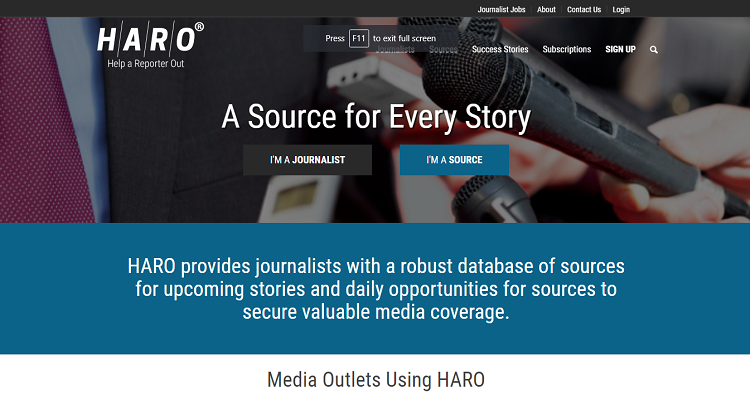 HARO is a service for journalists looking for bits of news to use in their stories for various news services. Post an update about your new product and see if it gets picked up by a journalist – a big buzz would certainly follow that. Even if you don’t sponsor a big blow-out event for your new product launch, you can still use a tradeshow as a good way to generate some buzz for your product. Bring a demo or offer special discounts or preorders for the trade show participants. Organize a raffle or other promotions to get your name and product out there among the others. Your new product will need a buzz. While it’s easy to spend all of your time and energy creating a new product that will presumably change your industry, it’s critically important that you also spend just as much time and energy building the energy and anticipation that must accompany that shiny new product. Fortunately, you can get started building buzz in many different ways. You just nailed everything in one post. This is amazing. I love the part you talked about reaching out to all bloggers to talk about it. That’s a way of advising them to patronize us too. I’m happy. In my next launch, I will plan it so well that nothing will be left to chance. I’m just involved in a business launch, so will be checking through your launch. Excellent, business launches are always fun! This is a huge list. But my personal favorite strategy would be content marketing and infographic. First, identify your audiences and then make them understand why do you need it. If you’re launching a Saas product a user manual guide is necessary. An introductory video will do the job. Yeah, Infographics are great and most of the successful posts on any blog can turn out to be great infographics. Additionally sites like Visually are great places where InfoGraphics can be shared – thus making further benefits out of re-purposing the same content. Hi Oleg, Thanks for sharing sucj awesome stuff! This is such a great lis Oleg! Some of the tactics I’ve heard of before but you’ve introduced me to several many more that I’m excited to explore. This is like a neat pre-launch checklist! This post is jam-packed with everything you could possibly need before a product launch. My focus has always been content marketing and connecting with other bloggers as I prefer to play the long game and not just the short game. I don’t focus too much on launching products or building an audience before I do so, but if I did, this would be my go-to guide. This is my first time visiting your website and I am glad I caught this article. You have given so much detail and this will help a lot of us who are planning to launch a product. You are so right in that we should be focused on what the product is going to do for the people that will be purchasing it. It is important that we do not lose sight of that because if we do I believe the launch would not be successful. It is not about what it will do for us. Great post it was. I agree with you that a buzz about it is very much needed before making the actual launch. Thanks for sharing. This is a very informative article, I greatly agree with the ‘find bloggers’ aspect. It’s one great way to get huge exposure for your new product. Others mentioned in the article and good too. You given a lot of really great ways to promote your new product. I never really heard of that before, but it’s something that I will certainly try out the next time I release a product. Surely, Crowd Speaking is always better because it adds the power of timing to your shares and make them huge with the help of the crowd! wow! amazing tricks, I would prefer to do all these before I launch my product! It’s easy to focus on your new product. But, instead of making your big product release about the product, focus your efforts instead on what that product is going to do for the people who will be buying and using the product. While I don’t really launch products, your tips are extremely useful. I totally agree, if you don’t have an audience, then you won’t make sales. Anyone who is planning on launching a new product can definitely learn a lot from your tips and advice. You can bet that I’ll follow these tips if I ever do launch a new product. Thanks for sharing, I’ll be sure to pass it along. I just noticed this blog. Much great insight on my niche. Hi Oley, this are awesome tips that some of them I could not just expect. Advertising a product before launching has different more advantages. Looking the craving perspectives. Customers crave more for products they have not seen that the ones they have seen. I can relate this with the fact that people will always wants to be the first to use a particular product in order to be a leading Voice for it. Advertising in advance, building up an email list before the launch etc. helps a lot in building the buzz which can even lead to some sales on the very first day! Thank you Oleg. I love the matrix and guidelines that you ﻿talk about﻿. It provided me a better sense of precisely how I could time my product. I am a big fan of video marketing because it adds a personal touch to your campaign. Like, thru my live broadcasts on YouTube, Periscope and Facebook, readers get to know me as a human being, not just words on a screen. Awesome way to stand out from the blogging crowd. Especially if you want to grow an audience before launching your blog. Talk about a warm introduction. Thank you for the comment, always good to hear positive feedback! Yeah, am a big fan of your facebook live videos but haven’t checked those on the other platforms yet. Will do soon. Wow! Yes, I like it. A very long time I have found my real requirements post and I have read this post, Because I am going to launching every week any new product. thanks admin for this post. Thanks for sharing such great article. But is there any free and effective way. Thanks Oleg kaluger your Blog is really helpful .My preference for infographics and crowd speaking with good content marketing makes product launcher to reach audience easily. Yeah, you are right – great content with crowd speaking – makes a launch better! Amazing!!! This is awesome checklist. I have saved it offline. I think, it’s time to implement this secret strategies before it went viral. Hi Oleg, this is really an amazing post. Always Creating a hype before the product is even released is a great way to market the Product. You have listed down some value Bombs here. Always keep up the good work. Really useful tips for new website to build and audience. Thanks for the the great post.